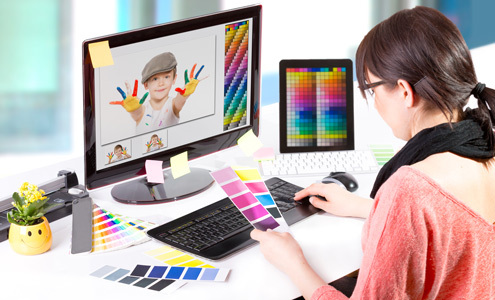 Print Media Production links to the Graphic Design industry sector - some Graphic Designers have an Art background, some do not but visual and creative skills are important. You may be the type of Graphic Designer who drafts everything on a computer, which means good IT skills and understanding of software like Adobe Photoshop, InDesign and Illustrator is enough or you may prefer to draft, sketch things out in advance using your artistic skills. Download a free trial of Photoshop at home and experiment. Visit local newspapers and discuss the skills and techniques used in print media production. Start your own school or college magazine. Ask Graphic Designers if they will come in to the school and give a talk. Find out about Graphic Design competitions you can enter your portfolio into such as the RSA Student Design Awards. Skillset can also help with advice in this sector. The list could be a whole lot longer.